Auctiva's FREE Scrolling Gallery will enhance your listings. 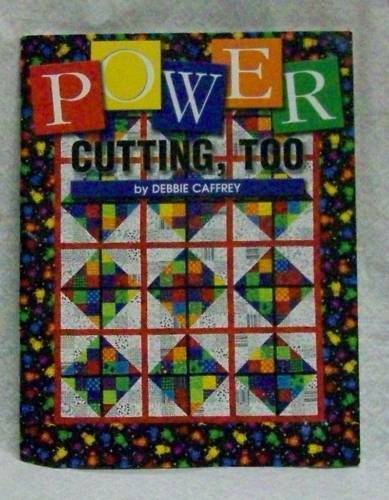 Power Cutting Too Caffrey, Debbie Debbie's Creative Moments, 2004, lst, ISBN:09645778x Staple bound in good condition, with good cover Text clean and unmarked, binding tight. Cover very clean and appears as new. This is a very hard to find quilters craft title. Building on basics, it covers all aspects of rotary power cutting. Half square, triangle units, quarter square triangle units and the two common shapes of trapezoids. Cutting charts and also quilt patterns Powered by Turbo Lister The free listing tool. List your items fast and easy and manage your active items.